I didn't know the area back then, but anything would have looked better than the council office monstrosity which was built in the early 70s. One bit of old Carlton in that film has survived; not demolished but also not redeveloped. What a cracking clip pity it dropped off the board with little all no interest, I've found you need to time your posts try between 3 & 5 in the afternoon when the gamers take a nap? To clarify about this film. My dad shot it in 1970 and I edited it in 2009 and posted it on YouTube. Since then it's done the rounds and come back to me several times. 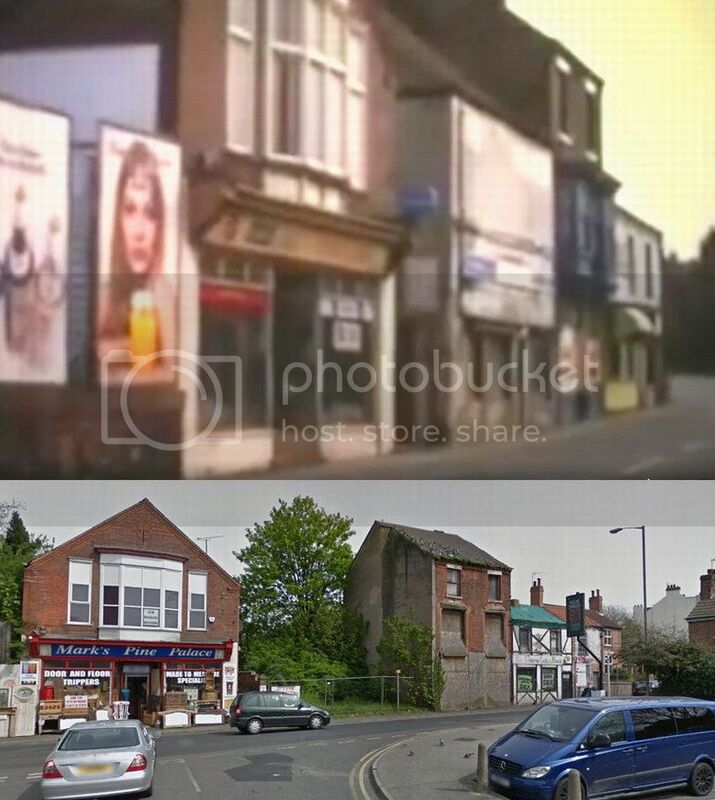 His shop, Rutherfords, is featured on Burton Road opposite the new development and you can also see, very briefly, the company shop on Victoria Road Netherfield. Alan Rutherford who founded the company, is credited with pioneering a video recorder that the company sold as early as 1965. I remember Rutherford's well. I worked for the competition, Clarks of Netherfield. Often bought records at the Victoria rd. shop. when I could afford it on an apprentices wage. Nick, I have this vague idea at the back of my mind, that the name Harry Rutherford and that shop is somehow connected to my family, the Brooks's of Carlton. Any bells ringing for you? 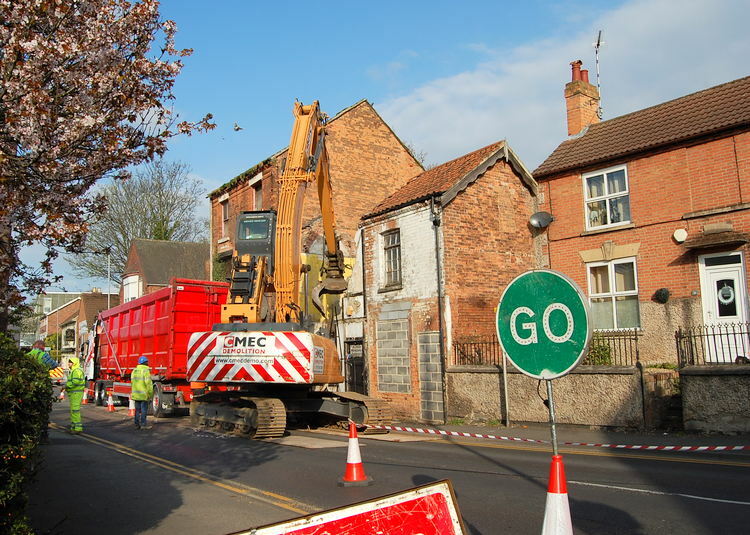 The old buildings - which had been derelict and empty for some time - on Burton Road have finally been demolished.